Every November I try to make a project that will help provoke thoughts of gratitude as we approach Thanksgiving. We have made gratitude jars and leafy garlands, but this year I was looking to do something a little different. 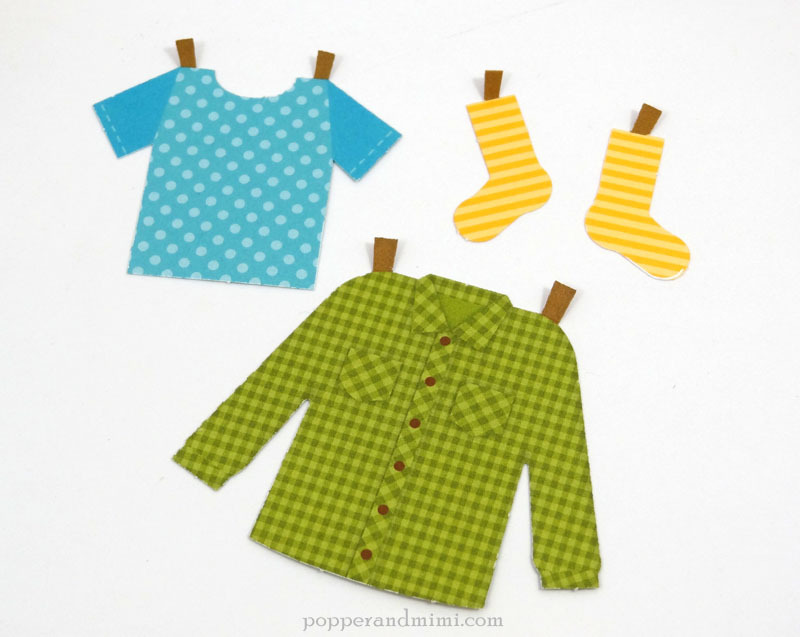 When flipping through my Doodlebug supplies, I found these darling clothes from the Happy Camper collection and the rest was history. 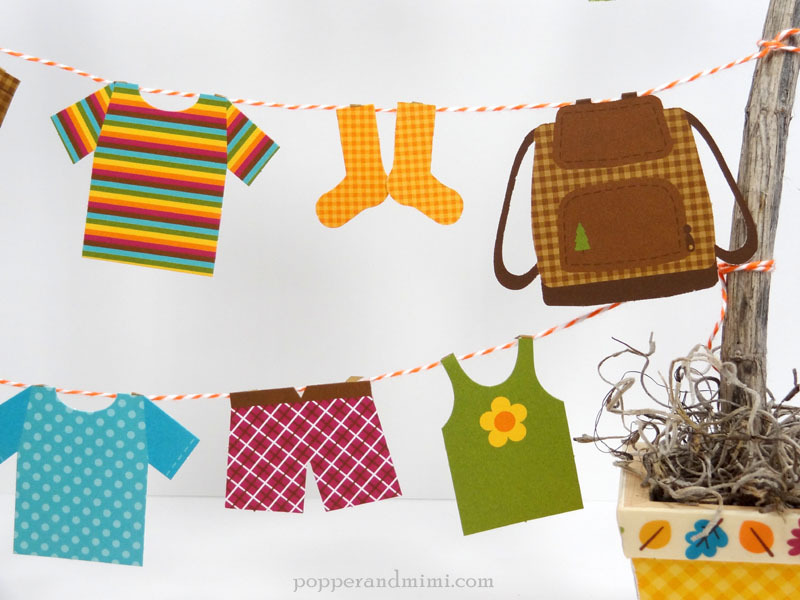 I am just smitten with Doodlebug's fall Happy Camper and Forest Friends collections. The colors and patterns mix perfectly and I love that they can be used together. 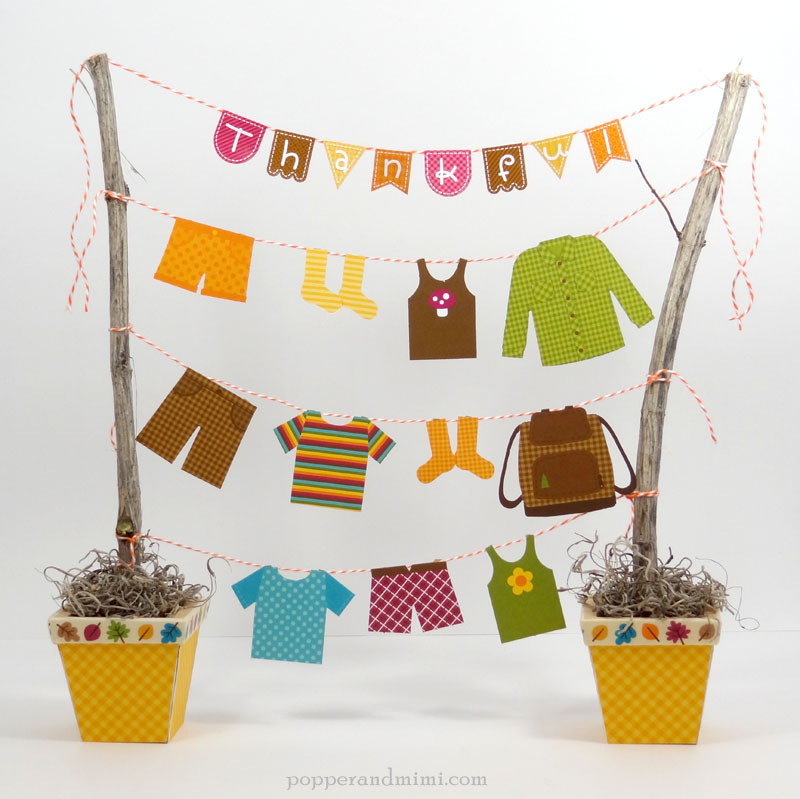 I used some die cuts from the Happy Camper collection and patterned paper from Friendly Forest to create this Thankful Clothesline. 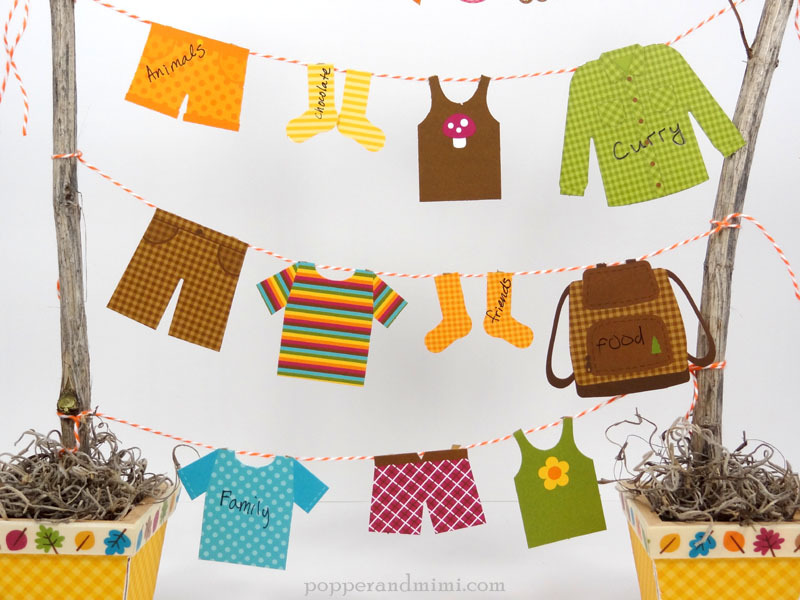 At the beginning of the month, the clothesline started out with an array of clothes. 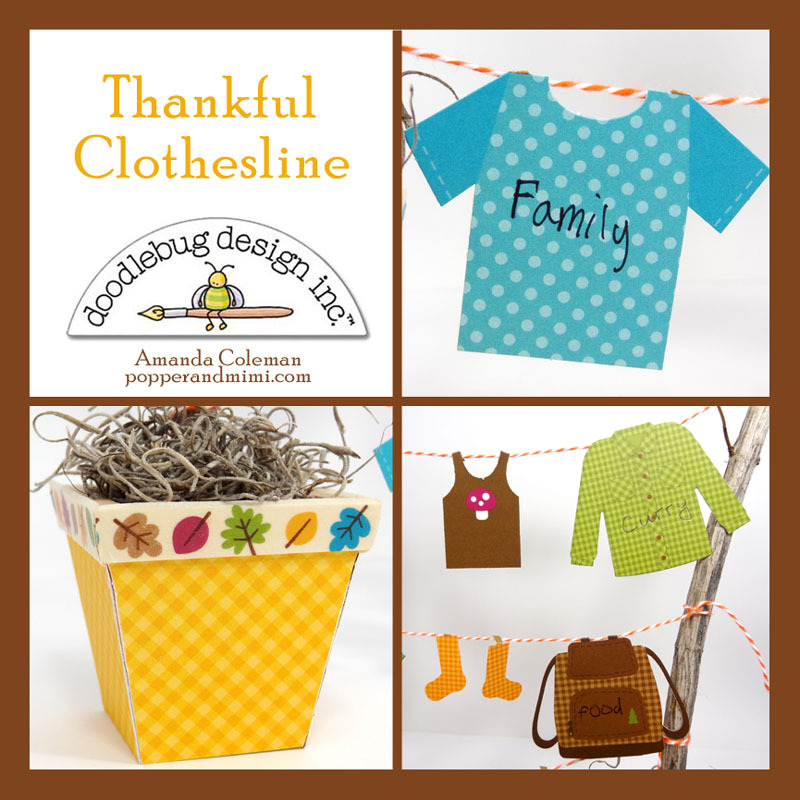 As the month progresses, we take turns writing down what we are thankful for and placing the clothing on the clothesline. 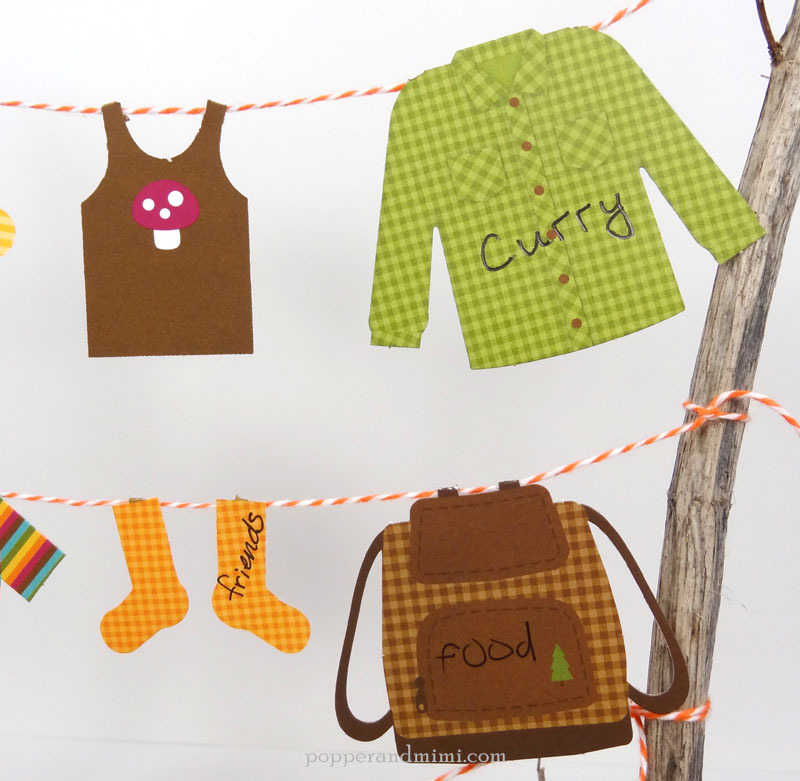 This little clothesline would make a lovely piece of fall decor without the addition of grateful thoughts. I adhered patterned paper to each pot and wrapped the top with washi tape. 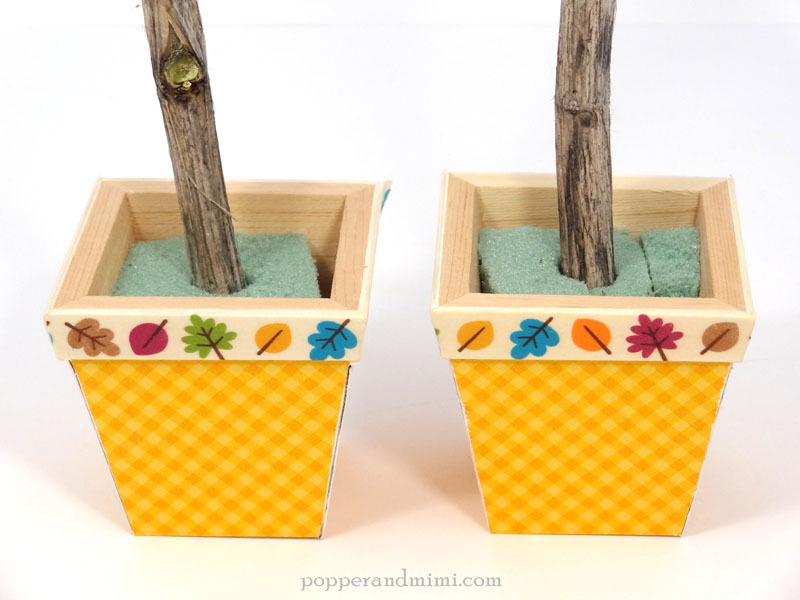 I inserted floral foam into each pot and stuck in a pair of twigs I cut from my yard. I placed some decorative moss on top of each pot to hide the floral foam. I seriously can't get enough of these darling little clothes! Each of the pieces of clothing have little tabs attached to the top. Simply fold the tabs over and hang from the twine. I initially tried hanging the clothing with mini clothespins, but they quickly got too heavy and the clothesline collapsed. Are you noticing a theme? Clearly as a family we are thankful for all things edible. My sweet daughter is thankful for family. Bless her heart. Have a bigger family? Grab a couple packs of the Happy Camper clothes and some longer sticks and get hanging! LOVE this Amanda! So cute! It looks FABULOUS and it's a WONDERFUL family activity too!!! 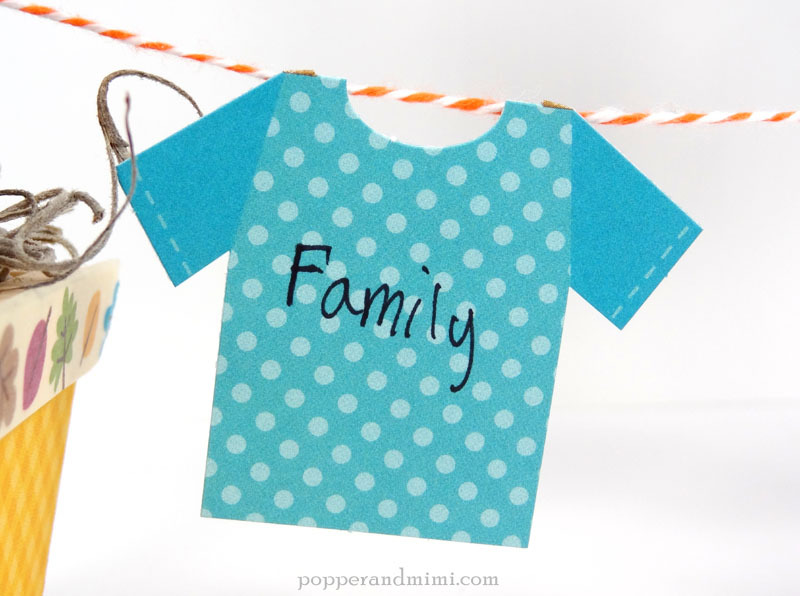 After Thanksgiving you will be able to gather the lines together and add them to some scrapbook pages. This is so cute Amanda, love it. What a fun, way cute, well thought out and executed idea!! Way to go, Amanda, what a great way to share what you are thankful for!! !